Of course it's the end of the summer and here I am finally getting around to making a couple of beach throw pillows for my in-law's new beach house. But better late than never, right? I really had no plan for how this was going to go, except that I knew I wanted to involve navy and coral. My first thought was to somehow use mod podge to transfer the prints onto the pillows. However, cutting out all that detail in the coral and around the letters just didn't work so I had to find another way. That's when I had a light bulb moment - why not print on the fabric. When I say "print" I literally mean feeding the fabric through my inkjet printer. 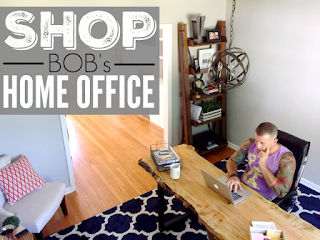 I knew printing on burlap worked perfectly, so why not use the same technique using freezer paper on this material - which oh, by the way, just so happens to be drop cloth! Tricked you, didn't I? You thought it was legit linen, didn't you! Nope, this stuff is way cheaper -- like $10 for this huge drop cloth. Anyway, I started with the BEACH pillow as my guinea pig. I cut a piece of freezer paper the size of standard printer paper and then used that to cut a piece of fabric the same size. With the shiny side of the freezer paper down on the material, I used a hot iron to bond the two together (don't worry this is temporary and just helps it feed through the printer). Once the fabric was ready to go, I created my text (or picture in the case of the the coral pillow) in Powerpoint. Now it's time to actually print. 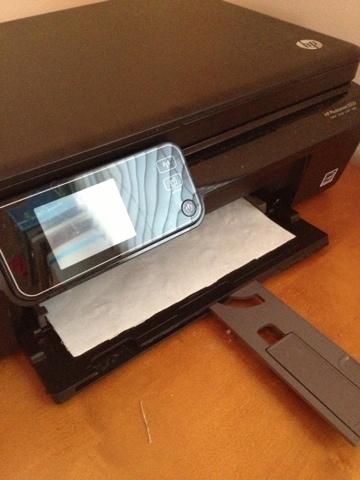 Orient your fabric in the printer tray so the printer will print on it and not the freezer paper. Then simply press print. It's as easy as that. 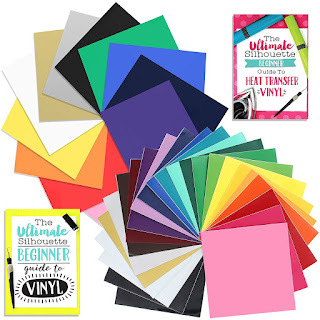 Now you can peel off the freezer paper and cut your fabric down to size or leave it as it is if you'd like. 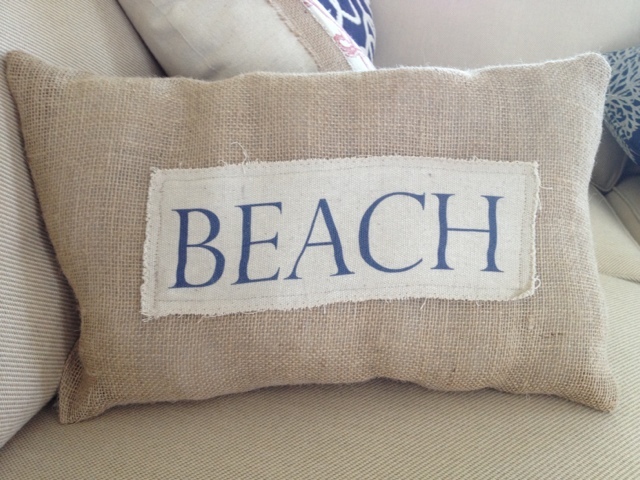 You are limited that your image can only be as large as 8x11 since that's the size of printer paper, but if you put a border around it - as I did with burlap on the coral pillow you can make larger pillows and not have your image or text look lost. 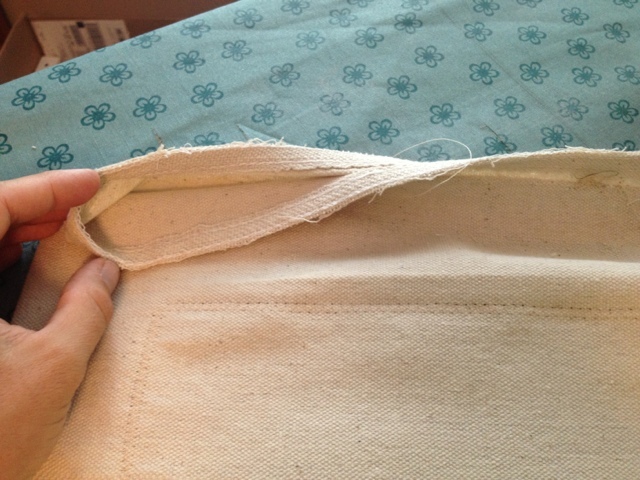 I recommend sewing a zig-zag stitch all the way around the edge of the drop cloth fabric to keep it from fraying. Now it's time to make the actual pillow. 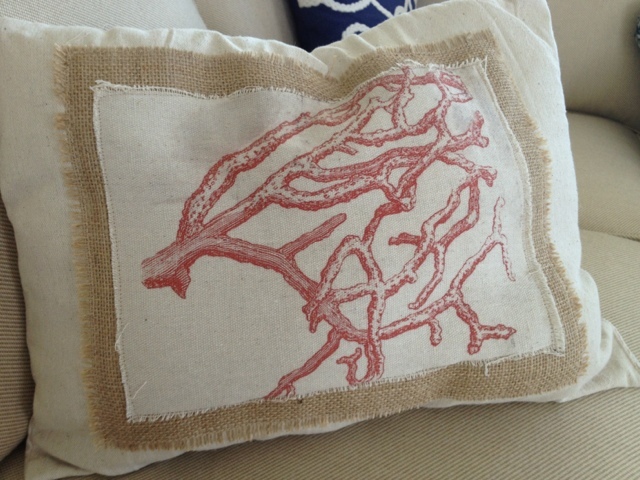 I'll explain how I made the BEACH pillow, but the process was the same for both, with the exception that I sewed the coral print to burlap first, and then made the actual pillow out the drop cloth material. For the BEACH pillow, I used burlap (not the most comfy pillow, but I love the texture and rustic feel it brings in and I already had it on hand). I'm not big on measuring (mostly because I was trying to hurry up and get this done before my kids woke up from nap) so I just eyeballed, but pull out your measuring tape if you feel like being perfect. 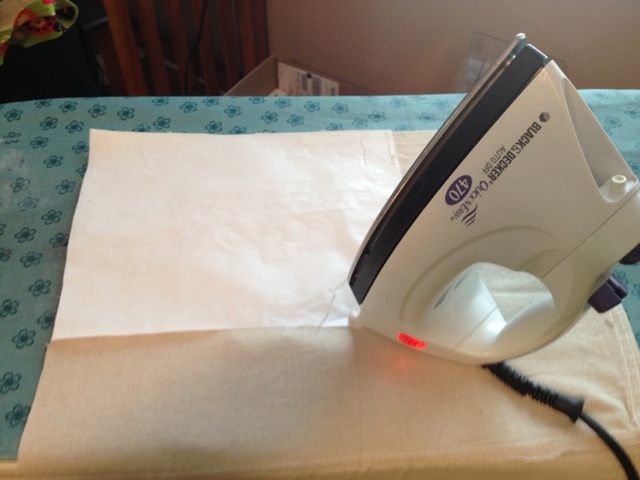 ;) Fold the burlap in half and iron the crease. This is just so you can see where the center is and so you can position your "BEACH" lettering. Center the drop cloth BEACH on one half of the burlap and pin it down. Now, sew a straight stitch all the way around the edge of the drop cloth to attach it to the burlap. 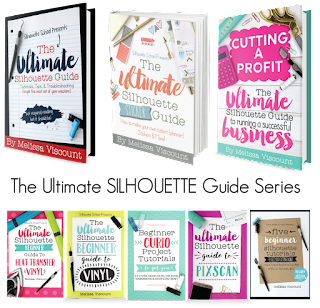 If you don't have a sewing machine, you could use fabric glue or spray adhesive. Once the two pieces are together, fold the burlap back in half using the crease you created. BE SURE THE 'BEACH' IS ON THE INSIDE. 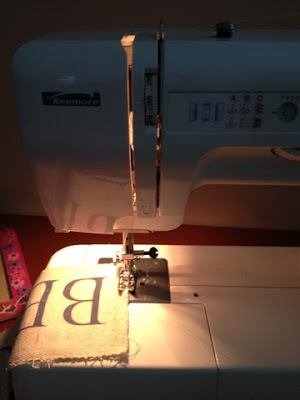 You are going to sew most of the way around and then flip your pillow right side out. When sewing the three pillow edges, be sure to leave a space wide enough for your hand to fit through so you can stuff the pillow. Flip your pillow right side out and start stuffing it. After it's stuffed, sew the small opening up by hand. Thanks for stopping by 2IY. 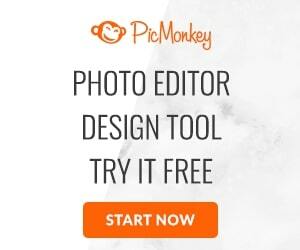 If you love what you see, we'd love for you to pin it and share it with the world! I am so going to try this. I have to tell my husband to pick up freezer paper the next time he goes to the grocery store. I won't tell him what it is for because he will freak out about me putting fabric through the printer. He uses a laser for his work, but we have an old inkjet I can try it with. Incredible! How fun. I can't wait to try this(I don't sew) but with the guidance of my mother I will learn. She will freak when I tell her the part of running it through the printer! Thanks!